I’d hate to misstep and lose my balance! Great shot! Super great shot of this prickly cacti! That's a great bunch of Prickly Pears. I imagine they are stunning when in bloom. If you think only the big ones hurt, get some of those little things in your hand or arm. I have to really watch out for this stuff at Big Bend NP because there's so much of it it's easy to back into it. Nice photo. 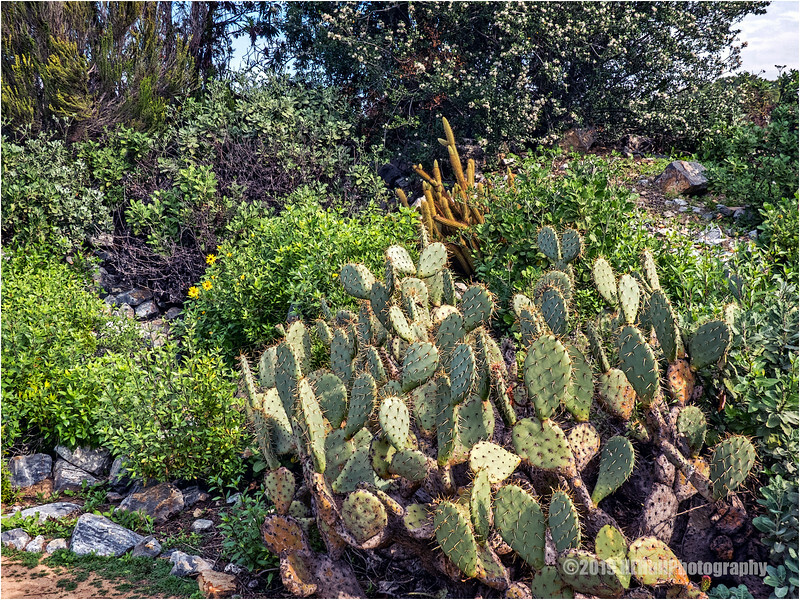 Nice view of the cactus, nestled down in the rest of the shrubs.